This work is a first attempt to understand the mechanism of metformin thermal decomposition under inert conditions. 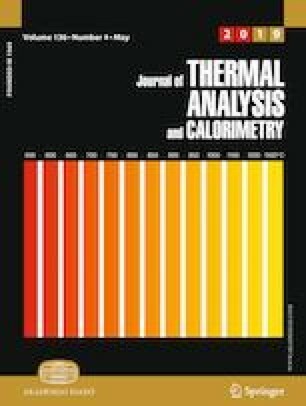 Thermal gravimetric analysis coupled with mass spectrometry was used to probe the thermal degradation reactions. Density functional theory and second-order perturbation (MP2) theoretical calculations were used to construct a reaction mechanism for metformin decomposition. It was evident that the reactions are initiated via formation of methyl radicals, and ammonia via 1.3-H shift, followed by a series of different secondary reaction pathways. The formation of cyanamide, dimethylamine and HCN were among the main secondary products. The proposed mechanism is important for future treatment of wastewater containing metformin and similar drugs formulations, and their possible conversion to useful commodities. The authors are grateful to the Natural Sciences and Engineering Research Council of Canada (NSERC) (Grant No. 10010510) and the Department of Chemical and Petroleum Engineering at the Schulich School of Engineering at the University of Calgary for funding this work. This research was enabled in part by support provided by Compute Canada. I. Badran is thankful to the generous support of Zamala, a fellowship provided by Taawon Foundation and Bank of Palestine. Sigma-Aldrich. Metformin, Catalogue number PHR1084 Sigma-Aldrich Corporation. 2018. www.sigmaaldrichchem.com. Accessed 1/7/2018 2018.